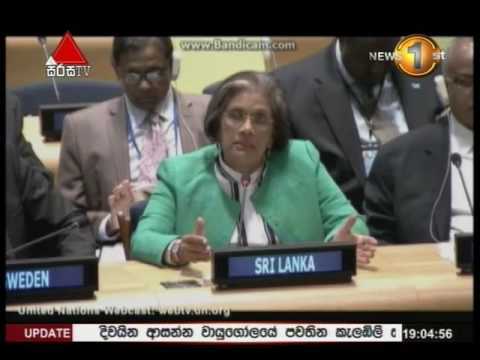 Former President and current Chairperson of the Office for National Unity and Reconciliation, Chandrika Kumaratunga says accusations of human rights violations during the conflict in Sri Lanka must be addressed. Seh was speaking at a special session of the United Nations General Assembly focused on UN, Peace and Security at the UN Headquarters in New York. The former President relayed her country’s experience in years following what she called “a very destructive war”.